"The Audience" is part of Cedar Street Galleries' exhibit of John Takami Morita's works. The work of John Takami Morita proves the saying, "The more things change, the more they stay the same." 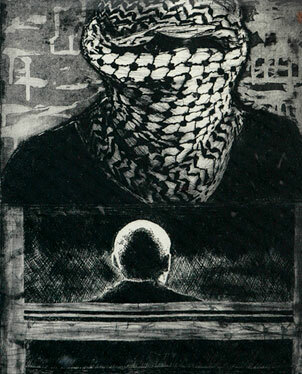 The acclaimed Hawaii printmaker's works, created following several human rights tours in the Middle East in the 1980s, "are still very relevant in 2008," says Carol Khewhok, director of the Academy Art Center and longtime admirer of Morita's work. "The sign of a real artist is one who reacts to and defines his time and then produces work that is timeless," she says. It's clear that Morita has achieved that status via the pieces in "The Human Rights Exhibit: 1986-1992," showing through June 8 at the Second Floor @ Cedar Street Galleries. The collection has had a life of its own internationally during the two decades since the works were created. Museums from Philadelphia to Europe have been exhibiting them; Hawaii last saw these pieces in the early 1990s. "Children of Jabalya Camp." 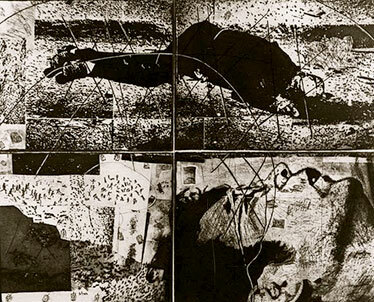 Both pieces are photo-etchings created in the 1980s and '90s. Michael Schnack, owner of Cedar Street Galleries, says Morita's virtual absence from the local art scene since then was part of the gallery's motivation for putting this show together. "John's an important printmaker and he's known for his work, but many emerging artists haven't ever been able to see his work." 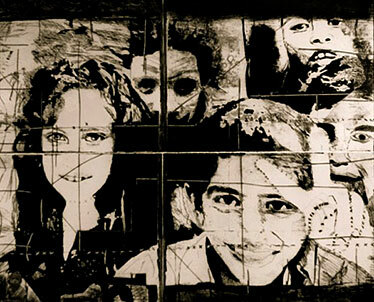 Schnack says that while the show was a response to Palestinian violence, Morita mixes in images of people from his own family and other projects to illustrate that "the innocence lost in war is universal." Khewhok agrees. "People need to be reminded of this," she says. "The United States is a funny society. Our culture can be very violent in TV and movies, but so many of us cocoon ourselves from real suffering in the world. We need to be reminded we can't forever turn a blind eye." The Cedar Street Galleries, 817 Cedar St., is open from 10 a.m. to 5:30 p.m. Mondays, Thursdays and Fridays and from 10 a.m. to 4 p.m. Tuesdays, Wednesdays and Saturdays. Call 589-1580 or visit CedarStreetGalleries.com. 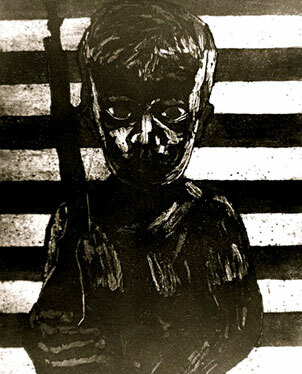 "Ryuchi's Nightmare" is another photo-etching. "Full Employment" is an etching.